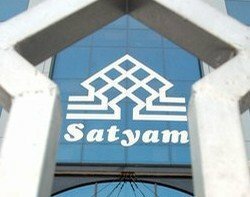 More than 14,000 Satyam workers had their CVs on the web within a day of the news breaking that the company's chairman had been cooking the books. The disclosure will raise concerns among businesses that rely on Satyam for IT outsourcing services. Some 8000 CVs appeared on the web within three hours of the news of the scandal breaking, according to Kris Lakshmikanth, CEO at Indian recruitment firm The Head Hunters India. Satyam chairman B Ramalinga Raju admitted this week that he had fiddled the company's books for several years. The revelation came in a letter to the company last week, in which Raju offered his resignation and confessed to inflating the company's financial figures. Lakshmikanth said he expects more than 10,000 people to be laid off by Satyam. He says 20% to 25% of Satyam's workers are what are known as "bench workers" who are paid a retainer but come fully on board for particular projects. "If Satyam does not have the money to pay permanent staff how will it pay people on the bench?" Satyam's interim CEO Ram Mynampati said in a conference this week that the amount of cash on the balance sheet "is not encouraging." "We need some assistance as far as liquidity is concerned to pay [suppliers]," added Mynampati. He said employee pay is covered for January but could not comment further. The company is in the process of assessing its financial position. Satyam, which offers software development, business process outsourcing, and support for suppliers including SAP and Oracle, has more than 600 customers in 66 countries. Its clients include Unilever, Sony, Tesco, Boots, Nestle and Fifa.